The development and documentation of models are most often intellectually demanding, laborious and tedious processes. Consider a model in which 30 transactions among ten state variables are addressed (consider 20 amino acids with five transactions each). In such a model, defensible equation forms for each of the transactions (30) must be formulated based upon concepts and data relating to each transaction. Data sufficient to estimate, on average, two parameter values for each equation and to set initial values for each of the state variables must be collected; e.g. 70 numerical values must be established. At a minimum, 100 publications would have to be consulted in formulation of the first version of the model. Then a test data set to challenge the model must be formulated based upon another, preferably, 100 plus independent experimental studies. In this context, it is very-daunting to attempt summarizations and evaluations of models of protein and amino acid metabolism in ruminants. Only a few, more or less, representative models can be considered and only then in part and possibly and unfairly out of context. These considerations were clearly in our minds when we selected models, or rather parts thereof, for consideration in this chapter. We elected to start with models of ruminant digestive processes varying in complexity but all leading to estimates of protein availability to the ruminant animal. We started with the current US National Research Council model for lactating dairy cows (NRC, 1989), which is simple, static and highly empirical. We then considered the Cornell model, which is static but incorporates a number of mechanistic elements (Search: Agriculture, 1990) followed by a discussion of ruminally protected amino acids. We then consider of the UC Davis model (Baldwin et al., 1987a,b,c), which is dynamic and incorporates mechanistic elements similar to those in the Cornell model. This includes recent modifications in which the amino acid pool is now represented as four distinct pools and provisions for computing the stoichiometry of amino acid degradation dynamically. analytical models required to overcome the problems. 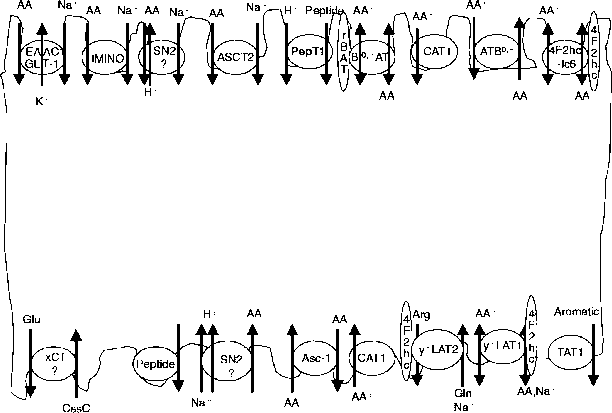 This section is followed by a discussion of a rodent model of protein turnover. The rodent model serves as a basis for the development of a ruminant model of protein turnover, and also serves as the analytical tool for the interpretation of data generated to estimate protein turnover and identifies the appropriate designs for further experimentation.